Since the excavations of Pompeii, archaeological sites have long been a part of heritage and tourism, certainly before the use of the term "heritage" and the formal study of tourism. Archaeological sites exist in a state rarely imagined by their makers. 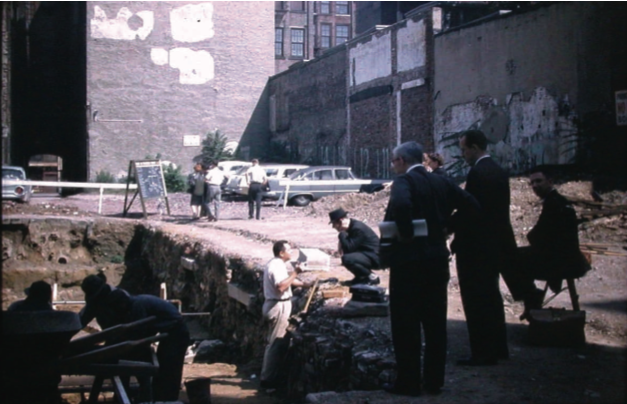 Their fragmentation, dereliction, and abandonment are further modified through subsequent practices of excavation and display--the latter intended to reveal and give evidence of history and experience. The anticipation of preservation as an integral part of the archaeological project began in the 18th century with the belief in and contemplation of nature and the solace that could be derived from a ruin. The ruin stimulated and exercised the onlooker; the effect sometimes enhanced by selective destruction and cultivated vegetation. The pleasure of a ruin was to reconstruct in the mind's eye the structure in its original state. The better one understood the ruin, the better the imaginative reconstruction. Site preservation is a critical act that results in the conscious production of place. As an activity of mediation between the past and the present, preservation deter mines what we see, experience, and know about the past. Increasingly, contemporary practice has moved toward finding an acceptable balance between protecting the historical and aesthetic values inherent in the form and fabric of the existing built environment, including evidence of age through weathering and subsequent alterations. Such concerns have been fundamental to preservation theory and practice since at least the mid-19th century. Yet the tension inherent in this dialectic defines the very nature of conservation as the push and pull between the emotional and humanistic on the one hand, and the rational and scientific, on the other. 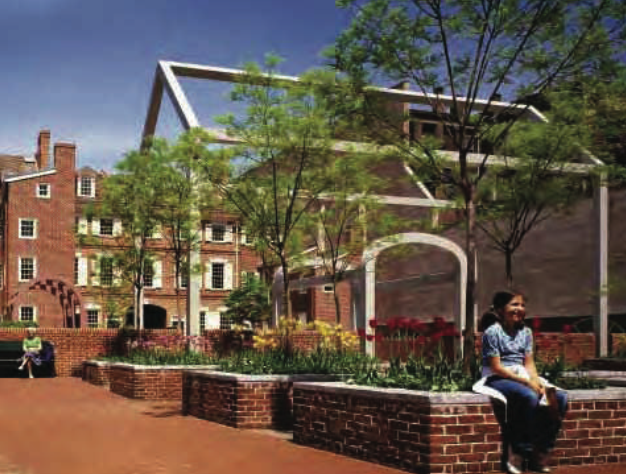 At Franklin Court, the site of Benjamin Franklin's House in Philadelphia and part of Independence National Historical Park, a team of designers, engineers, and archaeologists offered a revolutionary solution during America's Bicentennial in 1976 by revealing the site's historical and aesthetic authenticities through real and exaggerated elements. The result was the construction of a spatial montage that never confuses the present with the past yet allows visitors an open-ended experience of history, memory, and time. Earlier plans in the 1950s to celebrate Franklin on the site of his house included building a memorial park or architectural reconstruction. They were rejected despite the use of both approaches within the National Park Service (NPS) and the nation in general since the 1920s. The alternative solution proved that interpretation and somatic experience could be achieved together through the skillful combination and display of above- and below-ground archaeology as well as reconstruction, twoand three-dimensional historic space as a hidden urban court and garden, an abstract house plan and volume (the famous "ghost structure"), and a multimedia underground museum (Figs. 1-3). 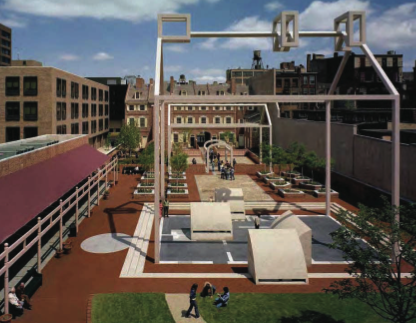 The brilliance and success of the design solution lay not only in the diversity, placement, and juxtaposition of the site's interpretive components (both archaeological remains and "interpreted" features) but in the recognition that the original hidden enclave setting of the Franklin site could offer up a powerful experience that brought time and space together in an urban oasis appreciated in Franklin's time as well. The architectural critics and preservation community praised Franklin Court, and the site has continued to welcome millions of visitors since it opened in 1976. The late James Marston-Fitch, America's foremost preservation educator and critic, pronounced Franklin Court "... the most successful of all [archaeological sites] ... marking a new level of maturity in American preservation activities." This was no doubt due to the extraordinary team assembled by the NPS under Penelope Batchelor, including archaeologists John Cotter, Paul Schumacher, Bruce Powell, and Barbara Liggett, and the design team of Venturi and Rauch (Venturi Scott Brown & Associates), John Milner, AIA Architect, and engineers Keast & Hood for the court design. Archaeological sites, like all places of human activity, are constructed. Despite their fragmentation, they are complex creations that depend on the legibility and perceived authenticity of their components for meaning and appreciation. How the interpretation and experience of such places are realized remains the challenge for the professional in shaping what we see, how we feel, and what we know. With increasing pressure to capture public attention and to offer multiple narratives, there is a growing tendency today to litter such sites with didactic commentary in the form of interpretive infrastructure: information centers (no longer museums), signs, viewing platforms, glass and steel walkways, protective shelters, and digital technologies. But are we losing the desire and ability to respond to the inherent physicality of things and places, to see more, hear more, and feel more, in deference to the aggressive revealing of content at the expense of the physical place. Of course, didactic interpretation can offer up a complex reading of many archaeological sites, but then so can the fragmentation and potential unity inherent in many sites. To paraphrase Susan Sontag, shouldn't our ultimate task be to show how it is what it is, rather than to show what it means? The lessons to be learned from Franklin Court are as relevant today as they were 33 years ago. The recent public and professional debate over the President's House site on Independence Mall in Philadelphia and the design for its interpretation suggest that Franklin Court still has much to offer on how to effectively design history. To what degree that will continue to be possible as a "place experience" at Franklin Court will depend on the realization that the 1976 project itself has joined the site's historical continuum. Any revisions to its original vision, now underway, will do well to consider its significance, language, and continued relevance as a vital urban place. Frank G. Matero is professor of architecture in the Graduate Program in Historic Preservation, director of the Architectural Conservation Laboratory at the University of Pennsylvania, and a member of the AIA's Site Preservation Committee. Assuming that the underground visitor center constructed for 1976 will be completely renovated, it's somewhat regrattable that we will be partially losing this record of 1970s architecture and design. This makes me wonder, how much we have really learned about preservation. Currently, the 1970s look is seen as outdated, much like the 1770s look was seen as outdated in the 1870s (just to pick some numbers). Wouldn't it make more sense to carefully restore the 1970s visitor area and to also include displays about the efforts put forth for the Bicentennial? I did not experience the Bicentennial but it seems like one of the grandest and worthiest celebrations this country has ever staged. Is there an actual floorplan for the orginal house? Also, the archway, is that where Franklin would have entered the house? 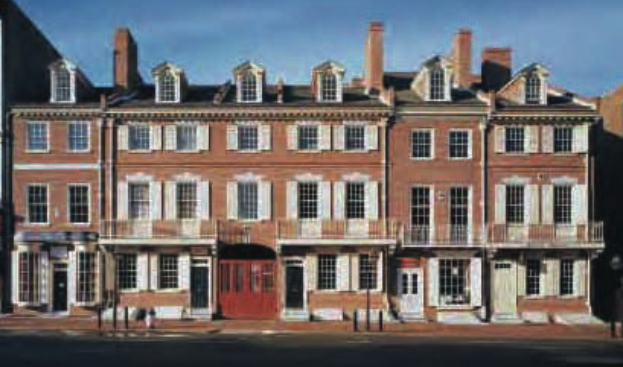 From my research I believe there is no surviving floor plan or drawings of Franklin's Philadelphia House, which was built by the talented master builder Robert Allison in a large courtyard behind a line of row houses Franklin rented out on Market (then called High) Street. And yes, he apparently entered the courtyard where his house was via the archway that cuts through the rowhouses. In fact, there is a sign that reads: "Ben Franklin went to and from his house through this original passage."